Seats are limited, this event sells out every year. Join us for a once in a lifetime chance to try the best vintages of the most coveted and allocated Cabernet Sauvignons in California. 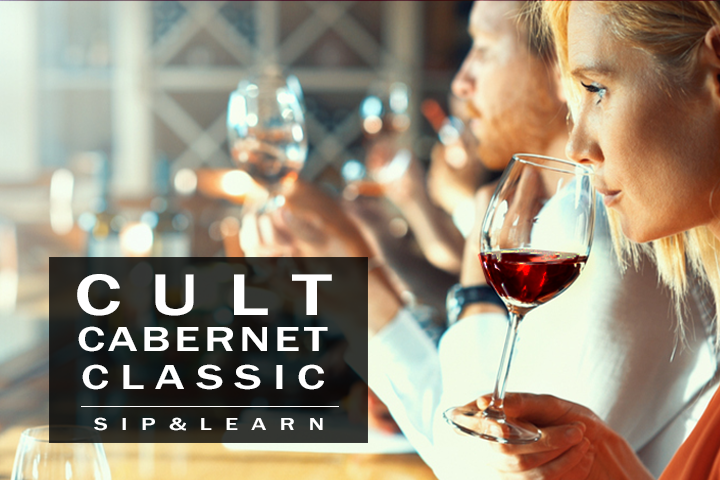 Sit down for a guided blind comparative tasting with our superstar Sommelier panel, taking you through 5 cult wines in this very rare and limited opportunity to taste some of the best Cabernets from California! We can’t wait to hear which are your favorites! This is an event that will not disappoint so please be sure to RSVP ASAP as seating is limited and we are sure to sell out quickly. Shuttles will be provided and will pick up from the Chalk Hill event parking lot starting at 1 pm. We will begin with sparkling wine to get your palate primed along with passed canapés and cheese and charcuterie.